It’s recycle Tuesday! 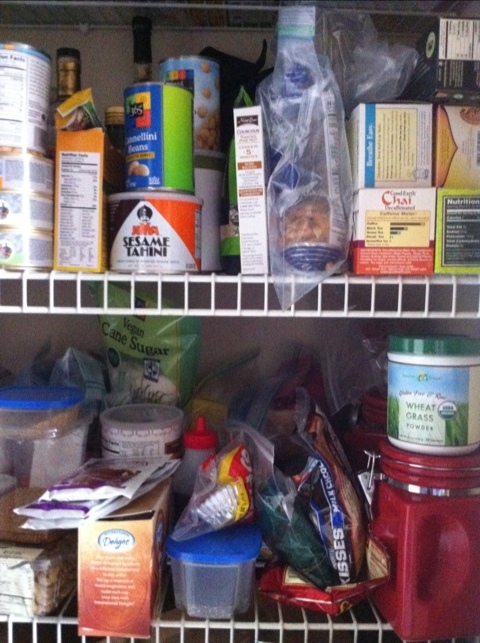 No, I’m not talking about taking out the paper bag of cans and plastic under my sink, I’m talking food. I’m all about recycling, especially when it comes to food. There is nothing worse than watching food go bad in your fridge. It’s almost heartbreaking. So finding a good use of the remaining hollandaise sauce that I made Sunday was my mission. 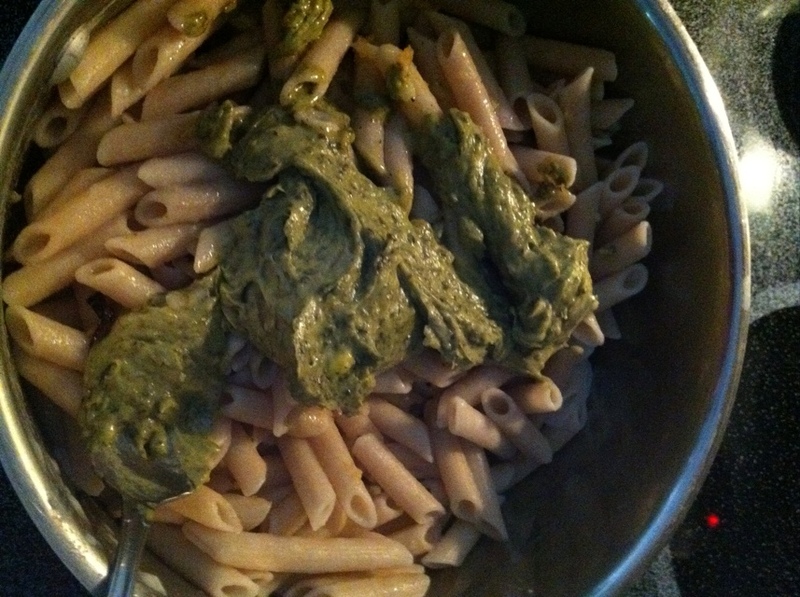 After doing an inventory on the ingredients I already had, I found inspiration in a packet of pesto mix I’d picked up at Whole Paycheck. Pesto mixed with the mostly butter-based hollandaise? Well, if that doesn’t sound like a recipe for success, I don’t know what does! Since I was out of soy beans, I chose to use white cannellini beans and some of the random veggies I had. You could probably substitute your favorite veggies in this dish, maybe even some pancetta if you’re a meat-eater. 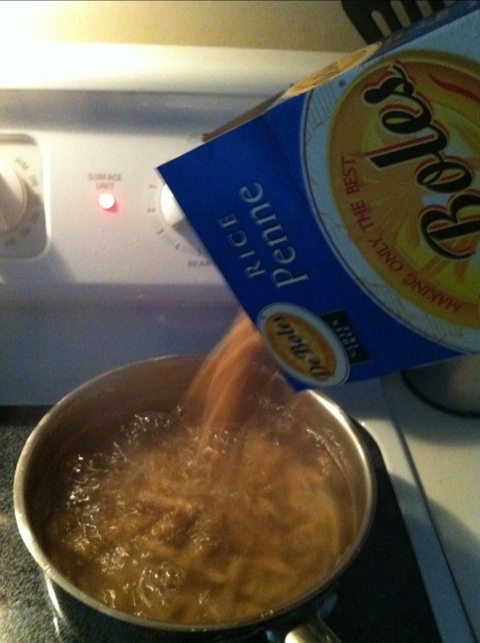 Directions: Cooke the pasta as directed, drain, rinse and leave in saucepan covered. Caramelize the sliced onions in some olive oil, add the garlic and cook on low until you can smell the garlic (be careful not to let the garlic burn). Remove from heat. 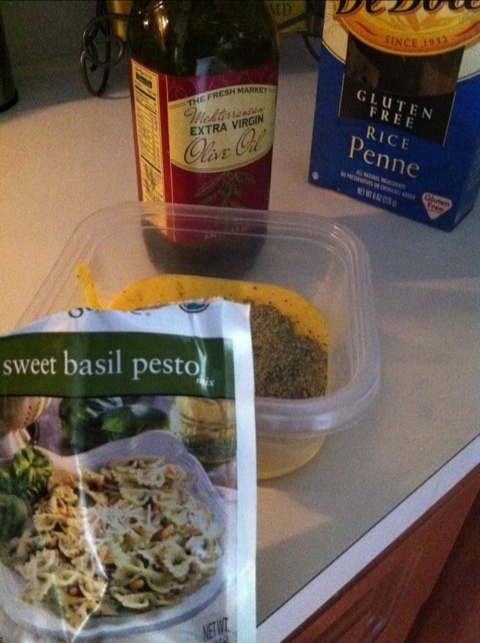 Combine the hollandaise sauce with the pesto mix and then add to warm pasta, stirring until pasta is covered. 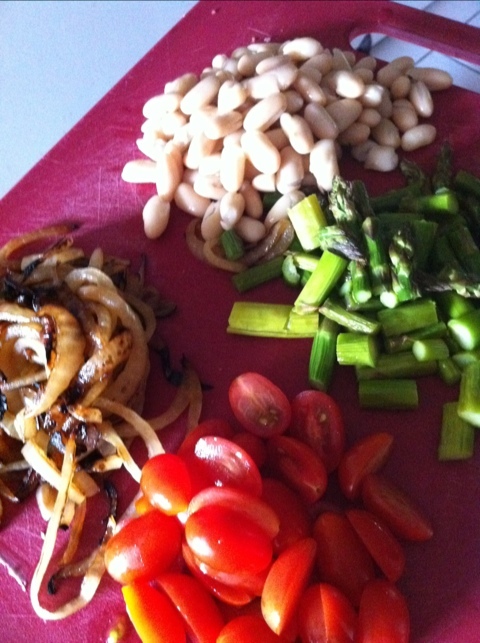 Then mix in the cannellini beans, asparagus, tomatoes, and the onion garlic mixture. Stir over low heat until everything is combined. No need to top this pasta dish with cheese as the sauce is super flavorful. Be sure to have some gum or a toothbrush nearby after, as the garlic is strong! Nothing wrong with that though. 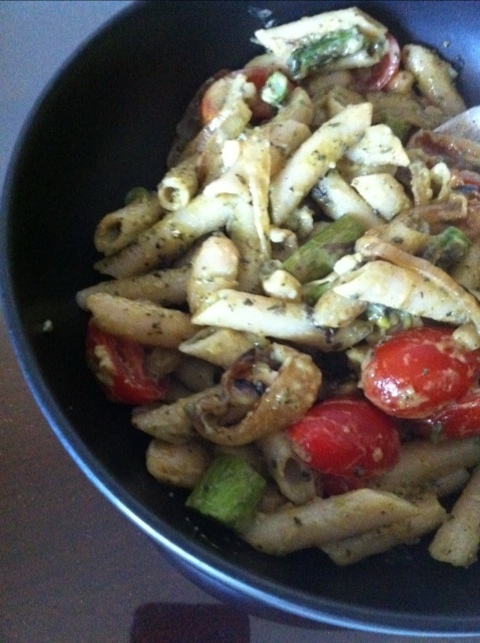 Considering this recipe came from a random assortment of items in my fridge, I’m ridiculously excited with the outcome. The fact that it’s garlic-packed and used up the leftover hollandaise sauce, makes me ecstatic. If only all these recycled recipes came out this good! Do you make up recipes based off of leftovers? What great creations have you come up with? « Battling Colds – It’s on!